The "Executive Choice" has a supply of everything from a number of companies. 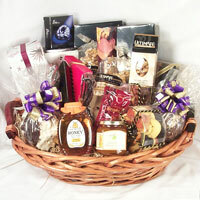 It is a large basket with lots to go around. Click here for all items in the basket.